This ANSI Class 3 T-Shirt will keep you visible. Made of 100% polyester that wicks moisture away from skin and eliminates chafing and clinging. 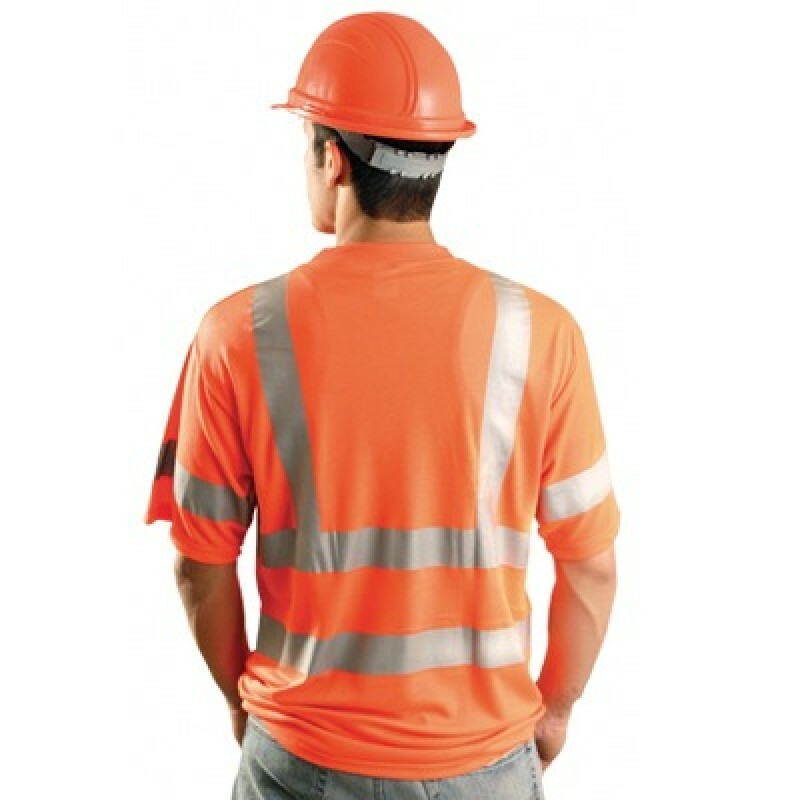 Comes with 2" wide 3M Scotchlite reflective stripes (two horizontal stripes, two vertical stripes, and sleeve stripes). 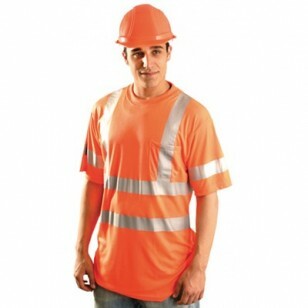 These premium high visibility T-shirts are colorfast, wrinkle resistant, soil releasing, machine washable with low shrinkage, fast drying, resistant to odors, bacteria and mildew, yet are unbelievably soft and breathable. T-Shirts come with a free pocket, available in fluorescent orange and fluorescent yellow.